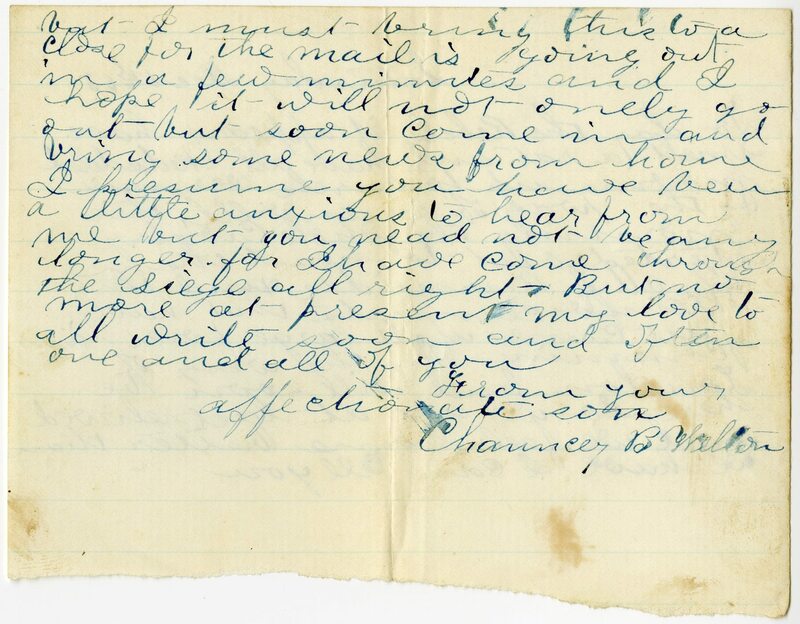 Item description: Letter, dated 5 December 1863, from Chauncey B. Welton to his parents. He describes troop movements in eastern North Carolina near Greenville and mentions having gotten through “the Siege” all right. Item citation: From folder 4 of the Chauncey Brunson Welton Letters #3368, Southern Historical Collection, Wilson Library, University of North Carolina at Chapel Hill. 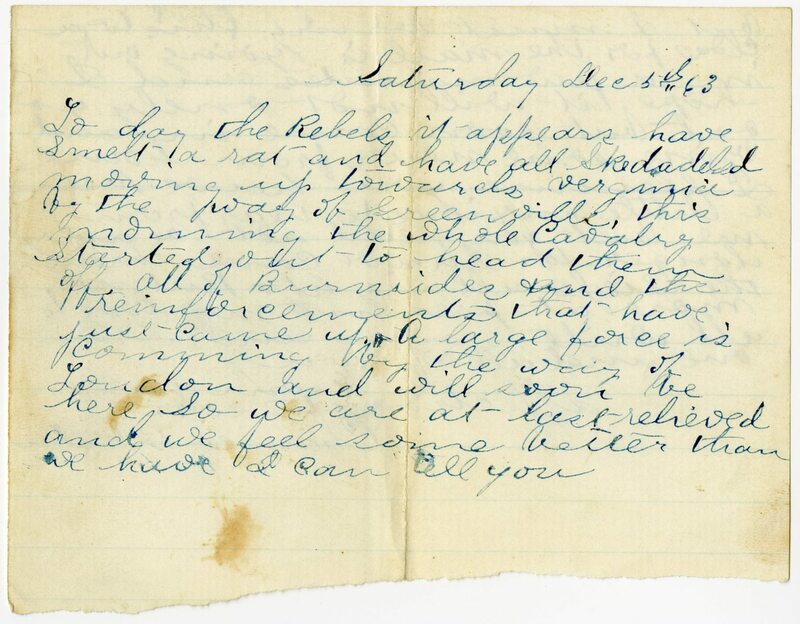 This entry was posted in Southern Historical Collection and tagged General Ambrose Burnside, Greenville (N.C.), North Carolina, troop movements, Virginia. Bookmark the permalink. I believe this entry actually refers to troop movements in eastern TENNESSEE, not North Carolina. Welton’s reference to “siege” probably refers to the siege of Chattanooga.